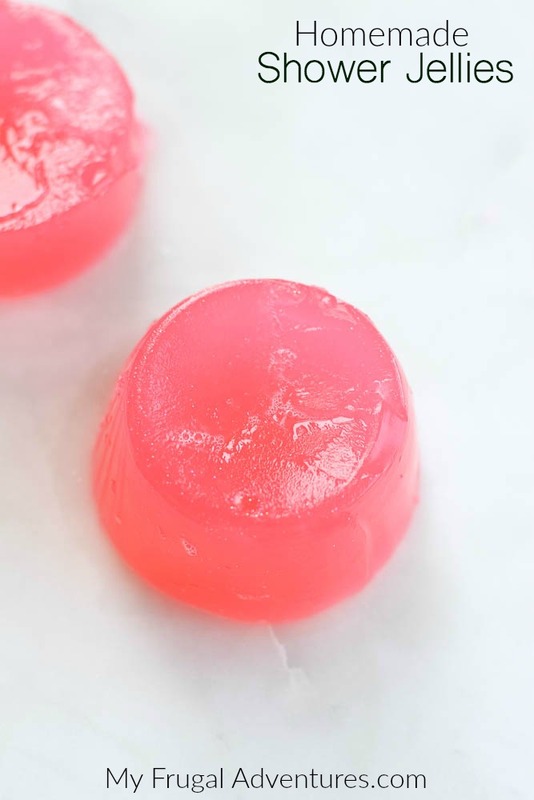 These soap jellies are super simple to make and such a fun little treat for the shower. My girls love these and they are actually fairly pricey to buy at fancy bath stores. Lush sells a small version of these for $10 or a larger version for $20. 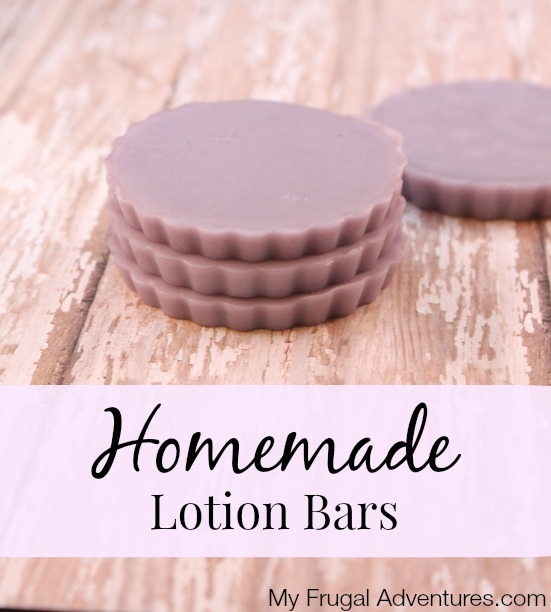 You can make them in minutes for a fraction of the price and customize with any color or fragrance you like. The jellie comes together and it is bouncy and squishy and fragrant and you can use it in the bath or shower as an alternative to bar soap or body wash. This is a perfect craft to do with older kids for quality time together or something for teens to make for friends. 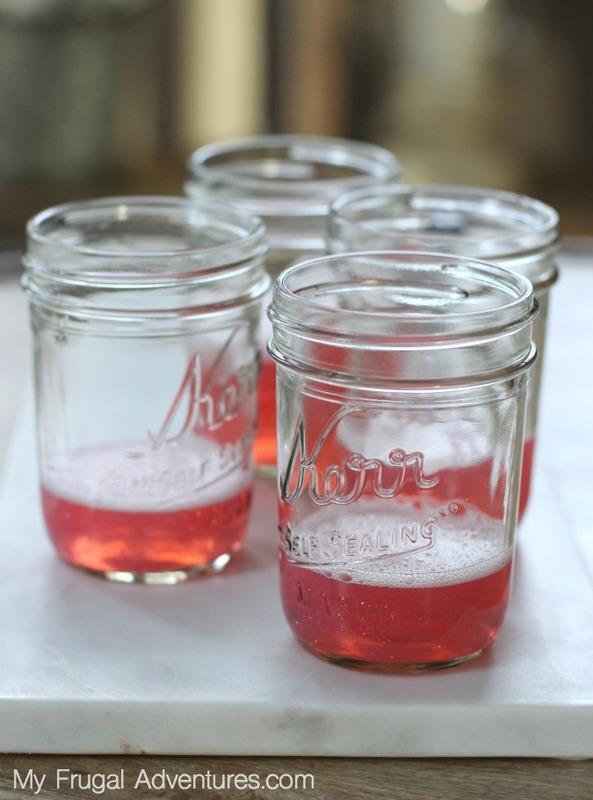 Pop your shower jellies in a mason jar and you are ready to go. This recipe will make approximately 12 oz or so of jellies. I used (2) 8oz mason jars and they were not quite full. Bring ⅔ cup water to very hot- almost boiling. Add to a mixing bowl and pour in 1 packet of gelatin. Stir well to dissolve and add salt- mixing to dissolve. Let cool for a few minutes and mix in ½ cup shower gel or soap or bubble bath. Drop in 1-4 drops food coloring and fragrance if desired. Pour contents into mason jars or molds or small containers of your choice. Cover with saran wrap or a lid and place in fridge for at least 4 hours (or overnight). I have tried both creamy body wash and clear body wash and the best results are always with a clear/gel wash not the creamy variety. I only add essential oils for extra fragrance if the soap is not already fragranced. Typically a shower gel will have a strong enough scent. 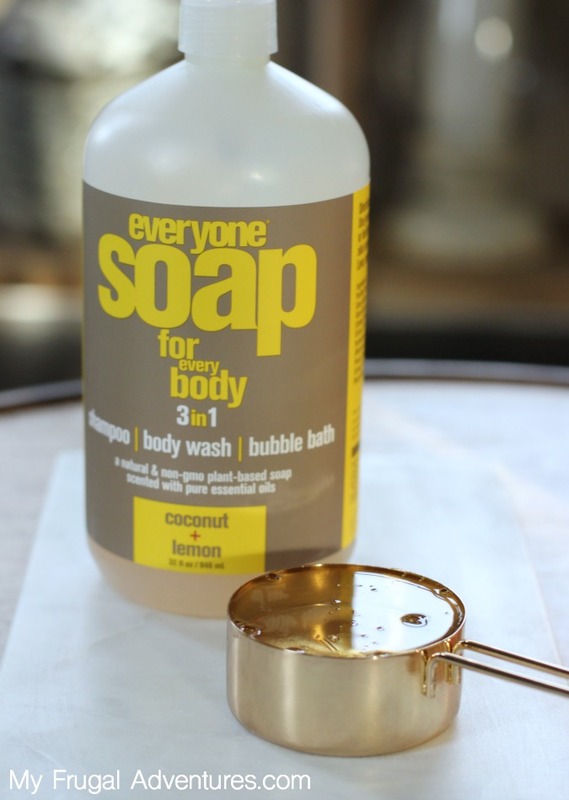 I used a coconut + lemon soap and added just a few more drops of lemon essential oils. 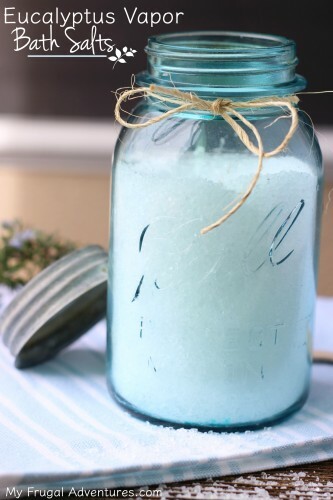 Once you finish with the mixture you can fill a jar or make several small shower gels. A larger gel can be cut into pieces once it sets and gets firm. I made mine both ways and found that I prefer a larger jellie that is cut into pieces. Transfer a few of the jellies into a jar or container to use in the shower and the remainder can be stored in the fridge for a few weeks. Note the bubbles at the top of the mixture will stay with your jellies. I don’t mind those at all but if you prefer to scrape off the bubbles at the top before the mixture sets you will have a nice clean bottom for your jellies. For the pink jellies I added a little fine silver glitter to my mixture. I used a glitter that is safe for bath products not a standard craft store glitter. It adds a really pretty and subtle sparkle to the jellie. 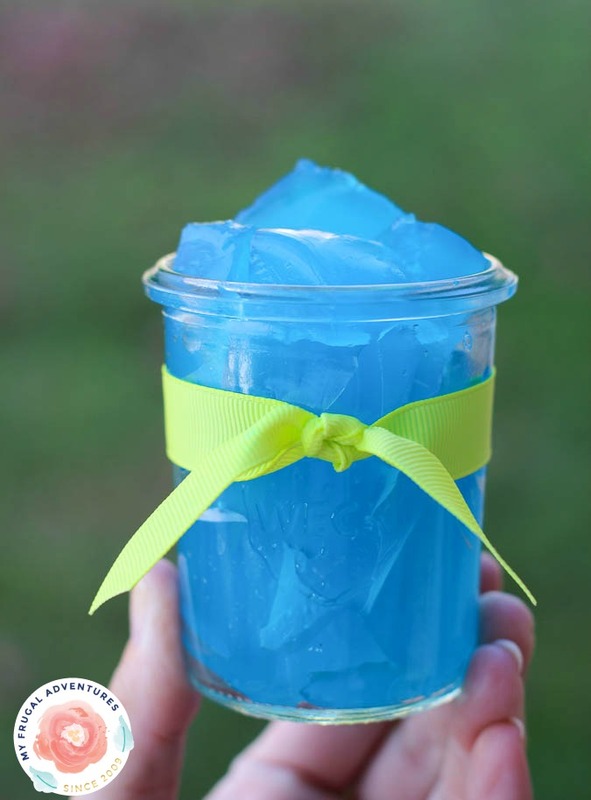 And to present as a gift you can use a mason jar and just cube the jellies or use a small mold or ice cube tray to make them instead of the jar. Add a ribbon and done! Note the larger your jelly, the easier it is to handle. My smaller jellies did tend to break a bit as I was handling them. My girls always complain about showers so I love these fun little surprises to delight them. If you decide to give these a whirl please come back and let me know what you think! I just found you. I can not wait to may all the things that i have seen on there. You have more body scrubs on here that i have not seen before. 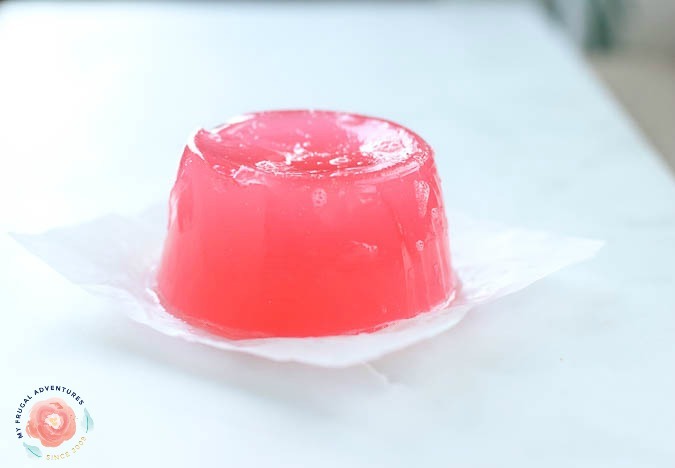 I have made other shower jellys but they always need to be kept in the fridge or they will melt. How long do these ones last and do they need to be kept in the fridge? I have kept them in the shower just fine but I suppose it depends on how humid and hot your bathroom will be. I don’t tend to keep them in the shower in the dead of summer just because I am paranoid about ants but otherwise I have had no issues in mason jars in the shower for several days. This recipe worked great! My jellies turned out perfectly. It was an easy project that I will use for gifts. oh so happy to hear it! They are fun right? What size of gelatin packet? Just made these with my 3yr old and she had a great time! We will package up for her grandmother’s, aunt and sisters for Christmas. Found demoulding a bit disastrous – had to use hot water as they would not budge and they melted a bit. Next time will just make in flat pans and use cookie cutters, can always melt the left overs and reset for squares too. Definitely a repeat treat/gift, Thanks!! Shoot I am sorry to hear about the issue. I wonder what happened. Mine seem to just pop out. Maybe rub the molds with coconut oil before filling with liquid? Cause it isn’t soaping in general so idk what to do. Hi Kaylee- Can you tell me what ingredients you used and how it feels? Is it all dry or what is the issue? What happens when you get the jelly wet? The majority of the jelly is actually soap so if there is an issue with it foaming up, I would suspect the soap you used might be the problem? But I have yellow and purple ones too. If you spray some rubbing alcohol on the top three bubbles will go away! It works for all soapy diys I make these all the time with my own recipe and they’re so great! Hi NobleLee- 1oz size packets. It is great and I can’t wait to try this recipe but if I want to ship these to other people would they melt and if so do you know any ways to stop them from melting? Hmmm.. I am not sure if you will have melting issues with shipping. Its pretty cold right now in most places so I would think it would be OK but I guess it depends on where you are sending them and how they are handled by the freight company. What do u do wit the teaspoon of salt in the jellies? Can you use Coco Betaine in it for more bubbles? Hi Leeann I am not familiar with that product so not sure if it would work. I followed the recipe exactly as it said, and none of my jellies came out solidified. I used baby bubble bath and regular gelatin, and put them in the fridge over night. Any idea what happened?? Oh darn. 🙁 No a bad smell is definitely not want you want at all. So odd. Can I ask what sort of gelatin you used? I wonder if that is the culprit? Kayla, I am sorry that didn’t work out. My guess is the gelatin. Did you use hot water, dissolve the gelatin completely and is the package still fresh not expired? There is a video of exactly how I made the recipe in the post. Otherwise maybe the baby bubble bath was too thin? I don’t think I have tried bubble bath before- I use shower gel or body washes. I use the Knox brand from Target and other stores in the baking aisle. It is edible. It is something like $2 a box at Target. Yeah so happy to hear that Lauren! You can add the salt after mixing together the gelatin and hot water. I will make that correction. There is also a video with the step by step process that you can watch to see exactly how it all comes together if that helps. I’ve used this in molds with so-so results that became excellent results once I omitted the salt from the recipe. To get rid of the bubbles, I spritz with rubbing alcohol in a spray bottle, similarly as you would with m&p soap. Is there anything we can add to this recipe so that they don’t need to be kept in the fridge? You can keep them in your shower Amy. You do need to let them set in the fridge after making but once they set you can keep them in the shower. If you make extra I would suggest the shower rather than a cupboard but in winter they should be totally fine.